Canadian firm Sunrise Records has bought 100 stores, securing 1487 jobs, the collapsed music chain HMV, beating competition from Sport Direct owner Mike Ashley. 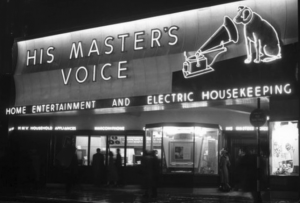 Sunrise Records CEO Doug Putman, said he was “ delighted to acquire the most iconic music and entertainment business in the UK”. 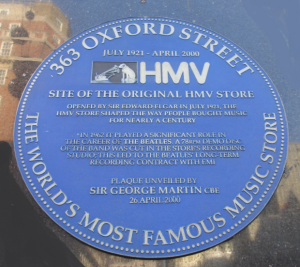 However, the administrators KPMG announced that the company’s flagship Oxford Street store in London, its first shop when it opened in 1921, is among the 27 stores set to close, including HMV stores in Manchester (Trafford Centre), Sheffield ( Meadowhall) and Glasgow ( Braehead). The 34-year-old Canadian entrepreneur Mr Putman, bought the retail chain Sunrise Records in 2014 and bought HMV’s Canadian business in 2017.Mr Putman also owns a restaurant called The Granite in Bancroft, Ontario and Makin Waves Marine, a boat dealer. His family also run Everest Toys, one of the largest toy wholesalers in North America. In HMV’s flagship store in Oxford Street the business rates bills rose to £1, 308, 150 this financial year almost double the amount paying before the revaluation came into effect in April 2017. The Store’s rateable value rose is its estimated annual rent paid on 1st April 2015, rose by £1.04million to £2.55million under the 2017 revaluation. It is little wonder these stores can survive under these escalating costs.